Fortunately, we smoked outside, though, so our house wasn’t too bad. But there were other reasons for having to do many of these steps. The biggest reason that we had to do many of these steps because my son has caught e-z mac on fire in the microwave before. Twice. We had to replace the microwave every time. Other steps we did to clean out my grandma’s house after she died. That woman smoked like a freight train. I seriously don’t remember her ever being without coffee and/or cigarettes. She even managed to smoke while crocheting. So, anyway, a tip for those of you who smoke inside: Start smoking outside now, even though you have a few days to your quit date. Work on de-smoking your house. Make your partner help you if you don’t have the energy to do it by yourself! * Home Depot sells this aerosol stuff that gets smoke out of the air. It works in the case of small fires (like my microwave) and it works in the case of cigarette smoke. * Dust like a monster. If either of you are heavy smokers or it’s been a while since you’ve dusted, you’ll notice that your dust will be slightly gooey from the nicotine and tar carried in the smoke. * Shampoo your carpets. Ideally, this should be done once a month in the world of FlyLady, anyway. But being a realist, I know that it’s something that most of us don’t do often enough. Shampooing with a strong odor-killing solution will help get the nicotine smell and stains out of your rug. Use a furniture attachment to shampoo your furniture. * Clean your walls and ceiling with TSP. TSP is the stuff that is used to clean your walls before painting. To make it less painful, since I try to clean my walls on a monthly basis, I use the TSP in a spray bottle and use a sponge mop to wipe the walls down. That way, I don’t have to wear rubber gloves, I don’t get the crap on me, and it’s easier on my back. * Get your laundry done. Yeah, I know, who has time for laundry? But your clothes will hold on to the smell of smoke, so you’ll have a smoky pile sitting in the clothes hamper tempting you. Remove temptation, and life is way easier. * My husband quit smoking before I did, so here’s something that I had to do to make his world a better place. After every smoke, the smoking partner in the relationship needs to brush. The smoking partner needs to shower after the last cigarette so the smoky smell doesn’t get brought to bed. Plus, no smoking near the door so that it wouldn’t blow inside when I came back in. * Replace the filter in your furnace/air condition/heat pump/whatever kind of central unit you have. This way, the smoky air is getting taken out instead of re-circulated through your house. Yeah, it’s a huge list, but I remember that the smell of smoke on someone else was a temptation at first, and a source of nausea later. Hope this helps! Note: this was originally written in August 2009. I still have that pack of cigarettes that I bought in January of 2009 sitting in my parka. I haven’t worn the parka since then, nor have I smoked a partial cigarette since May of 2009, when I had my miscarriage. I’ve been smoke free since then, and my husband has been smoke free since 2008. Sure, there are times when I still think that having a cigarette would be nice, but I’ve become one of those reformed smokers who can’t stand the smell of smoke. And having that pack means that I’m not smoking because I don’t want to, not because I don’t have the option. I finally threw out that partial a few months ago. It had been hanging on my back door for two years. Way to go! So happy to read about someone who has successfully stopped smoking and has kept on being a non-smoker. Great post! 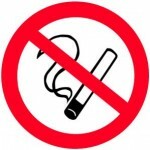 I quit smoking years ago and I can totally agree that what you listed will definitely push people to stop! I wish my dad would quit! Thank you for sharing this! Great post. I have never smoked but my husband does, well did. He quit about a month ago. Has only had about 5 cigs since then so he is doing good. Great ideas. I quit permanently when I got pregnant with my now 4 year old. I was always one of those smokers who quit cold turkey every time I found out I was pregnant. I was already deathly sick with morning sickness, so who would notice cravings and such 😀 I never picked it back up this time. I am so very glad I did it too!